Fire Station Number 2 sent us this thank you note. 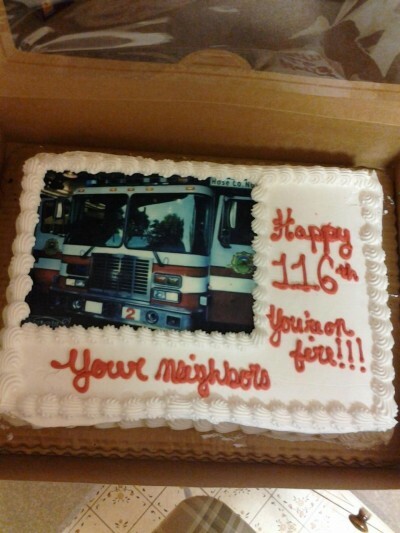 We presented them with a cake to celebrate their 116th birthday in August. They really appreciate all the support they receive from this neighborhood.